Another busy day. With some really somber moments. Meeting, telephone calls, discussions, emails. All terribly important. Then a trip with Pádraig across town to his friend’s Seosamh’s removal. I have been at many funerals. Too many recently. Never had a removal been as fitting as Seosamh’s. It must have been the spirit of the man himself who turned this terribly sad occasion into a (temporary) fare thee well gathering, oozing with style. His family really managed to capture what Seosamh has been all about. 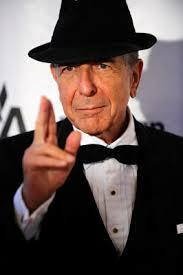 Up to the detail of the ‘Leonard’ hat in his hands. I will never forget this afternoon in Seosamh’s presence. We’ll be getting up early tomorrow morning for the funeral. I cannot imagine that it will be anything else but a celebration of the life and the everlasting presence of a beautiful spirit.